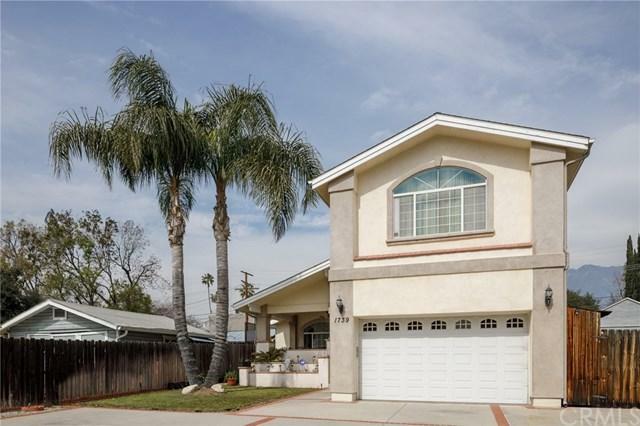 Absolutely beautiful north east Pasadena 3 bedroom 3 bath home, located in a great neighborhood. This home offers a spacious living room with fireplace. Absolutely private family room with double door entry and French doors leading to a back patio. Other amenities this home offers include a spacious private master suite with high ceilings and private balcony overlooking the backyard. Master bath comes equipped with glass enclosed shower, over sized jacuzzi tub, granite counter tops, tile floors, makeup vanity, and his and hers closets. Home comes equipped with ample parking space, including a 2 car garage. Fully fenced front yard, spacious back yard with built in bbq, ideal for entertaining. Close to all amenities, school, shops,rose bowl, freeways.